finally, i've finished my first pressed minerals palette. if you remember, i started with this new "hobby" months ago. i've pressed 3 of my e/s, here's my post about it. 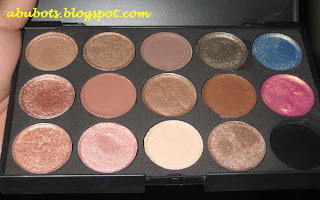 and last month, i've been lemming on getting Bobbi Brown's shimmering nudes palette but it wasn't available here yet so i decided to get Silk Natural's e/s clones of that palette. 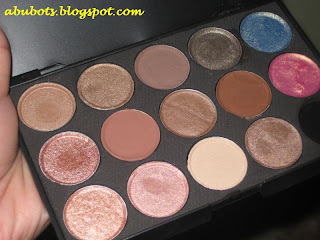 still, i wanted to have them pressed since using loose minerals can be really messy most esp during makeup gigs.